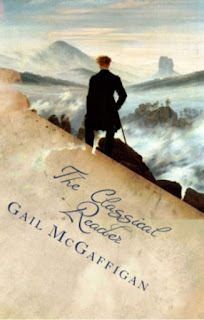 I am back at my desk and thrilled to announce the release of The Classical Reader: Short Stories of Action & Adventure, a short story curriculum for the manly young man in your life, or the young lady who likes to read about them. I must confess, though not young, I fall into the latter catagory, and had an absolute blast creating this fabulous curriculum. My poor husband has spent the summer competing for my attention with the likes of Sherlock Holmes, Raffles (gentleman thief), Father Brown, and other assorted knights, pirates, and the occasional hapless fool. The curriculum contains 16 classic short stories with assignments, and quizzes; enough to fill a full year of high school, or to do a short story unit every year for all four years of high school. Available, just in time for back-to-school, are the text book, workbook, quizbook, and teachers' edition in paper back, and the text in ebook. Thank you for all your prayers and kind wishes during my illness. I would not have made it without you!